The Dallas Museum of Art is home to an encyclopedic collection of more than 22,000 works of art. 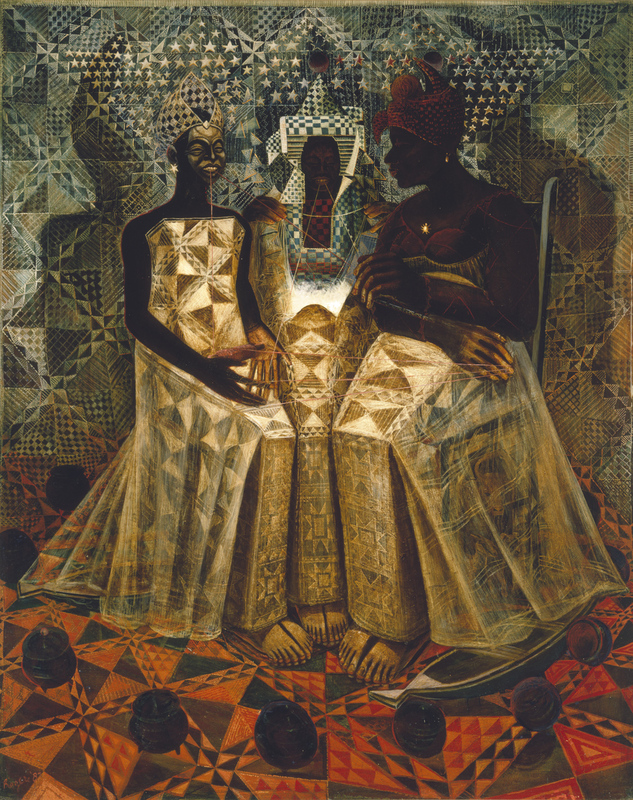 While most are on display in the Museum’s permanent galleries, you can also find several in the Center for Creative Connections, including John Biggers’ Starry Crown. In Starry Crown, a majestic trio of black women work together on a traditional African quilt. The quilt in the painting features patterns resembling a quilt crafted by the artist’s own mother and the string symbolizes the spoken word that passes traditions and knowledge through generations. The next time you visit C3, be sure to check out our unique interactive connected with Starry Crown. You can share words of wisdom that an important woman in your life has given. It may come as no surprise that for many, that important woman is their mother. In celebration of Mother’s Day this Sunday, we wanted to share some of our favorite words of wisdom that the mothers of DMA visitors’ have provided. It’s clear that mothers make an indelible, lasting impact on our lives, no matter how big or small we are! What words of wisdom has your own mother given you? Let us know in the comments and have a Happy Mother’s Day! ← Which DMA Summer Volunteer Are You?